Have you ever painted with forks? We gave it a go today and loved how it creates the perfect looking texture for fur for these easy black cat paintings. 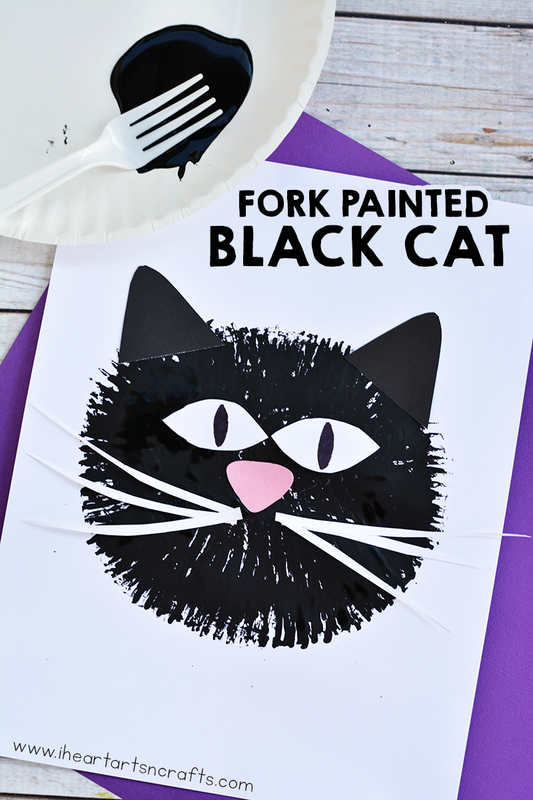 Grab some black paint, construction paper, and plastic forks to create these fun Fork Painted Black Cats for Halloween! Start by dipping your plastic fork into the black paint and then stamping it onto your white paper. Form a circle with the stamping so that you have your circle shape for your black cat. 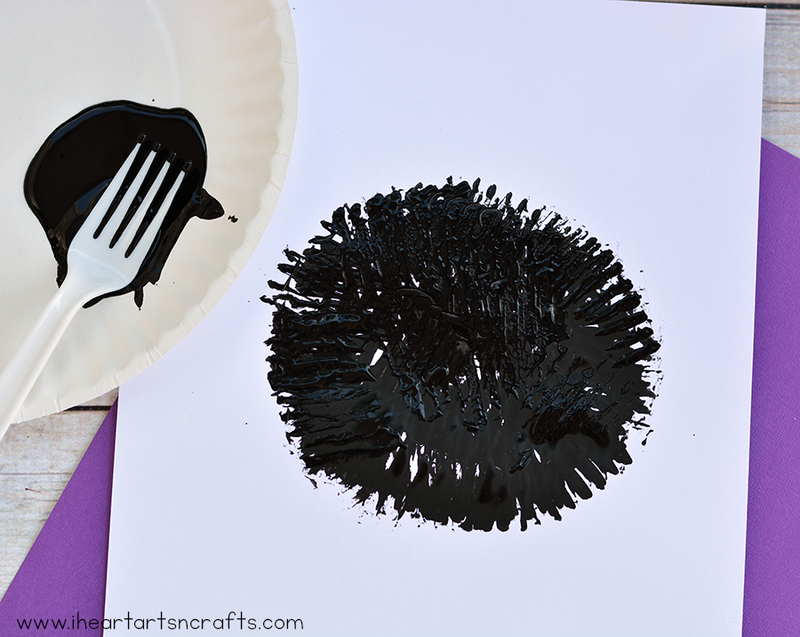 The fork stamping creates a look of fur and it’s so easy for the kids to do! 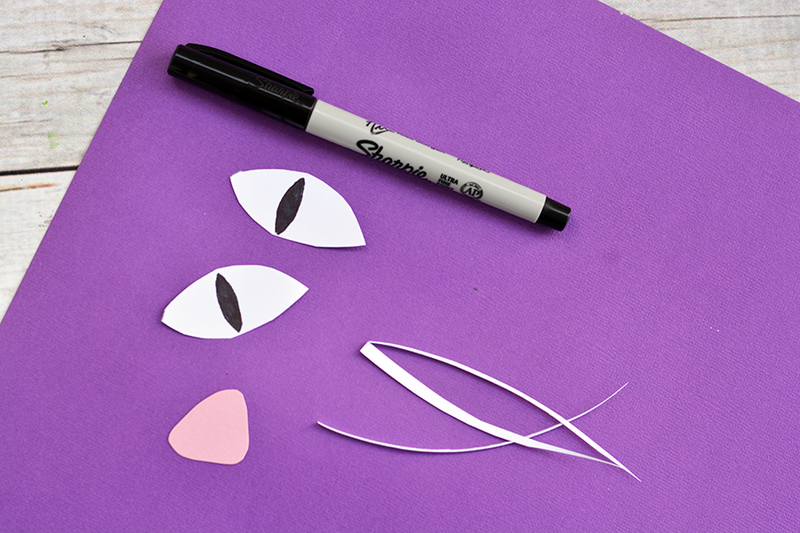 Next take some construction paper and cut out your pieces for the ears, eyes, nose, and whiskers. You can use white pipe cleaners for the whiskers if you’d like too. Once your paint is dry you can glue on your nose, eyes, ears, and whiskers. 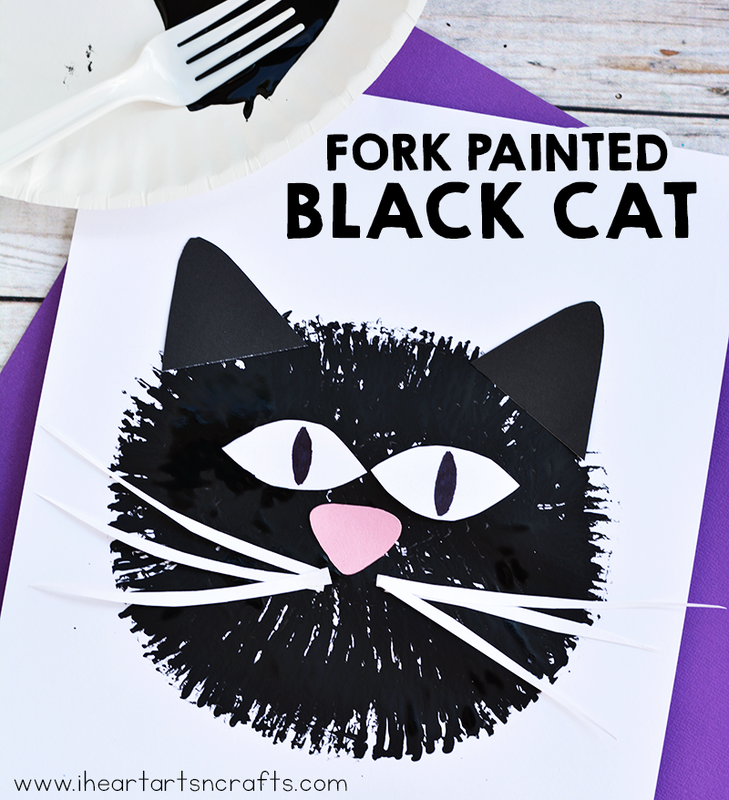 Your fork painted black cat is now complete!